Kneale Mann | Leadership: Do You Know Why? How and What Come Next. On any given day, like you, my mind is filled with ideas. Each is fighting for prominence in my consciousness. Sound familiar? But after attending The Art of Management this week, those ideas seem a bit more organized. if you ever get the chance. And I can't forget the entertaining host Ron Tite who kept it all together and shared several excellent presenations throughout the day. Michael told engaging stories about his years at Paramount and Disney and dovetailed them into all the projects he’s working on now. As always, Mitch shared many examples of how the adoption of digital and social media continue to enhance our experience, our commerce and our lives. He also shared a shaving trick, ask him about it if you get the chance. Nilofer discussed that the future will not be created, it will be co-created with true collaboration. The presenter I knew the least about before the event was Simon Sinek. They tell us that we need to do better PowerPoint presentations. Don’t put a lot of words on the screen, don’t bore people with charts and graphs and tell stories. Agreed! Well, Simon did an hour with three markers and an easel. Try that at your next meeting. 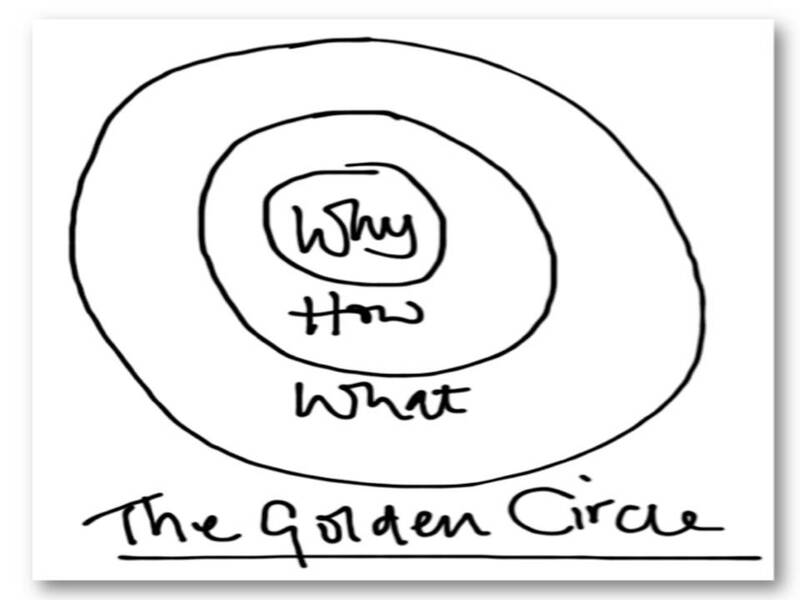 Sinek's message is clear – find the why and you will change your focus, your business and your life. We aren't too bad at finding the how (objective or strategy). We are even better at finding the what (tactics and execution). We prefer to make stuff over planning how to make stuff. 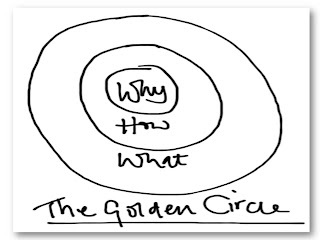 But few of us can aptly articulate the why which is our purpose. If we can find why we are doing it, what and how become much clearer. Simon talked about leadership in a simple yet powerful way. There are only two ways to lead – by force or by inspiration. Strong leaders know why they do what they do and inspire people who believe what they believe.